Heather Lindsay loves falling in love—even though her blueprint for romance has failed her time and time (and time) again. But now that she’s signed on to design an outdoor-wedding venue for her friend’s home renovation show, Heather’s found a new focus: her career. Only it’s not long before she’s being distracted—by the hunkiest man who ever swaggered down the streets of Red Oak Falls. The show’s new ranch manager, Waylon Peterson, a.k.a. Prince Harry in a cowboy hat, has every woman swooning. He’s also got a bad-boy rep that’s made him the hottest mess in town. In other words, he’s catnip for Heather, the Texan queen of bad choices. That’s why she’s steering clear—even with Waylon’s charm going full throttle. 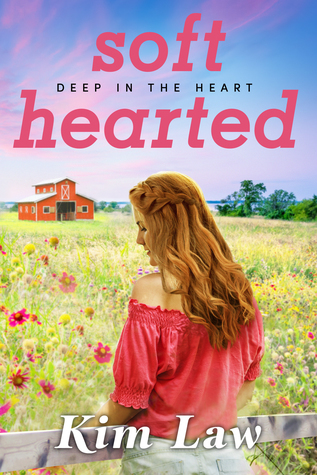 Waylon is determined to trade one night stands for true love, but convincing Heather may be an impossible task. He’s ready to settle down, but can she get past her fear of settling and give love one more shot?